STEP 1: Installing the mobile client on Android phones. 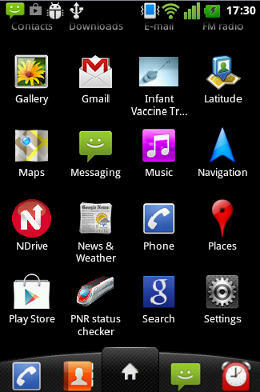 Locate Market App or PlayStore on your phone and tap on it. You may need to add a google acccount , if your phone has not been linked yet. You can use your existing gmail ID in the sign up section, or choose to create a new ID for this phone. Once done, you should be able to get into the Android market. 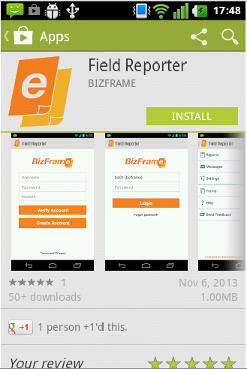 Once inside the Android App market, click menu >Search and search for "Bizframe" or "Field Reporter". 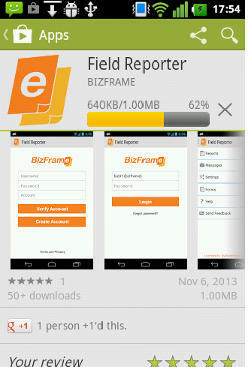 Tap on the Bizframe-Field Reporter result and follow the instructions to download/ install the app. This process is same for any market application. 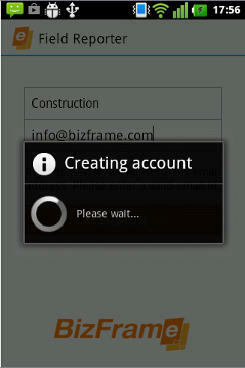 If you have a valid Bizframe account you can enter the information on the registration screen. 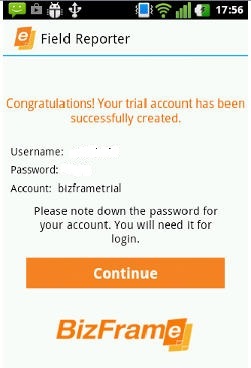 If you wish to evaluate the software before signing up for a premium account, click "Create Account". This just asks for your email ID and signs you up instantly. No delays or long forms to fill up. 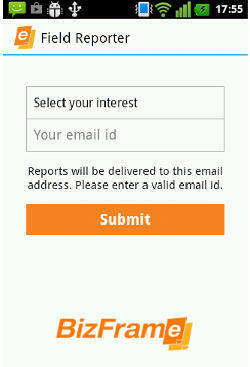 Make sure you enter a correct email ID, since the same ID is used for report PDF delivery. You should get your password right away. Keep a note of your password to login next time. 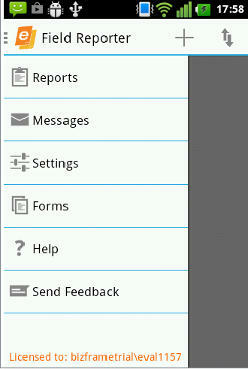 If you just signed up, you should be at the Applicaiton Home page , an empty list titled , "My Reports". 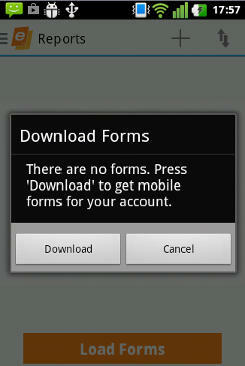 First time users need to download the forms associated with their accounts. This needs to be done, only once or when ever the forms set changes . 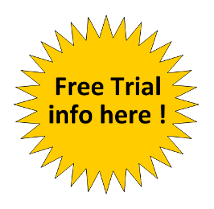 Trial users get a random selection of 4 pre-built forms. 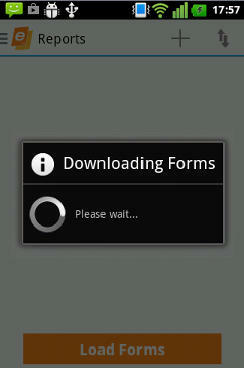 After "Reload Settings " has completed with a success message, you can start filling the forms. 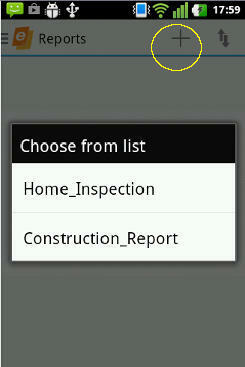 To do this, Click Menu > Fill a Form. / select a form by tapping on it. Filling up the forms are no brainer. Forms are designed to achieve maximum results in the small screen size and therefore may contain multiple tabs. If images are enabled, The last tab helps user click or select pictures and add them to the report being created. After images have been added, markings can be made on the image. 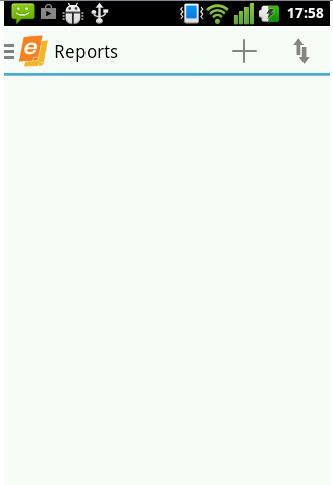 To do this, click on the image thumbnail. In the next screen, you can pan the image using your fingers. "Mark" stops the image panning. Touching the image at any point now, adds a circular mark at that point and prompts for a text entry. 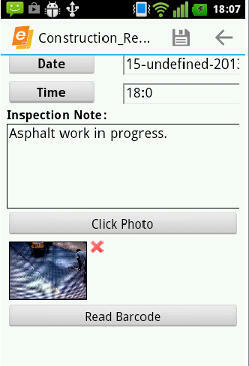 This can be very useful for pointing out defects as in quality control/ inspections. "Save" to save the annotation and exit from the image editor. If the form and all its tabs are complete. 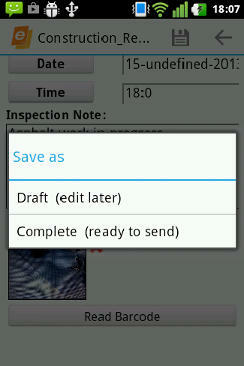 Click the Save Button on top of screen and choose "Save as draft" or "Mark Complete". This can be done from any Tab of the opened form. Saving saves the form as a draft. Marking as complete marks it as ready for upload. 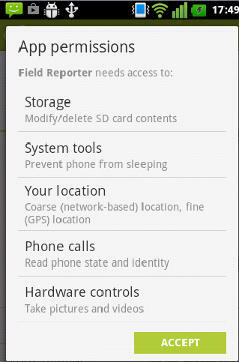 However, no data is sent automatically. 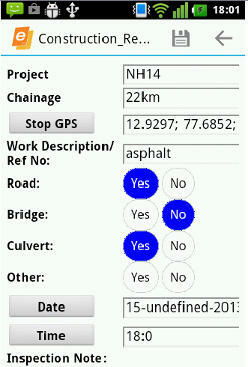 Users can send all filled up reports together in a batch at a later time. 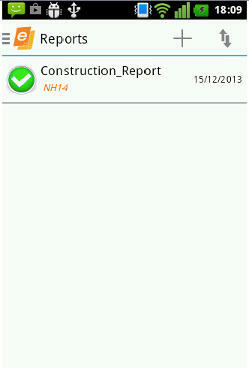 This is a powerful feature allowing complete offline report creation. 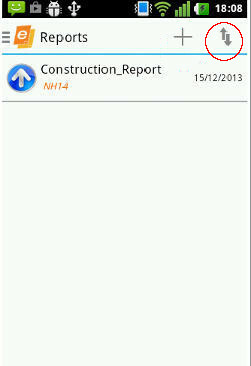 Once saved, or saved as completed reports, the application closes the form and navigates back to the main page which now shows the newly created report instance. (filled up form) . Those marked with a Blue upward arrow icon are ready to go. Click Menu >"Sync" to upload the data. Assuming you have a data plan in place, this should send the reports right away for processing and automated document delivery. Out of the box, our solution enables PDF reports delivery to email destinations. The emails should arrive in your mailbox in about a minute or so that it takes for the data to get processed and sent from our cloud servers. A green tick confirms successful submission.